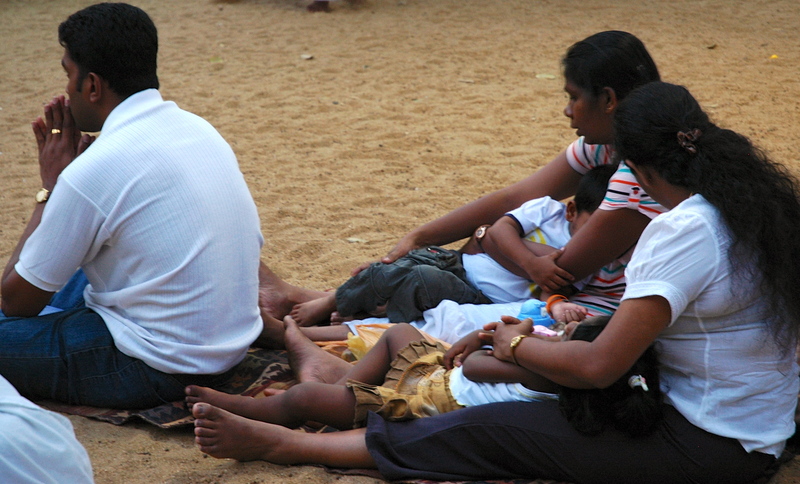 Last week I spent a day in Anuradhapura. 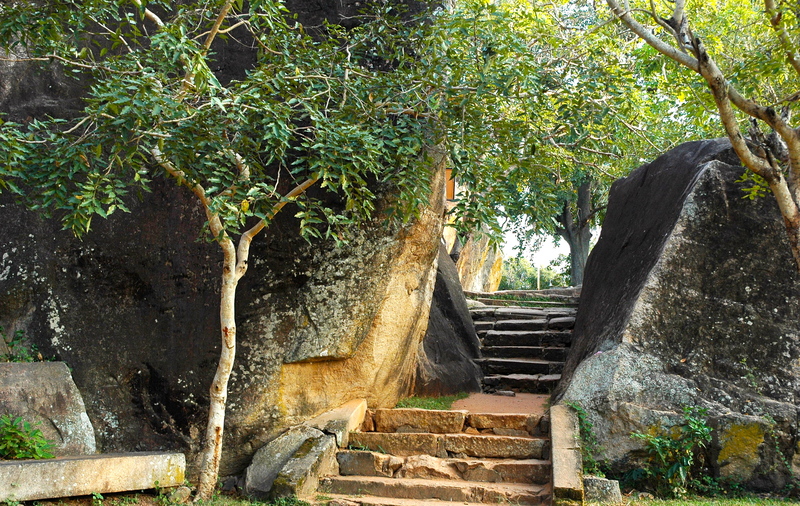 This bustling city in north-central Sri Lanka started life as an insignificant settlement in 10th century BC. By 400 BC. 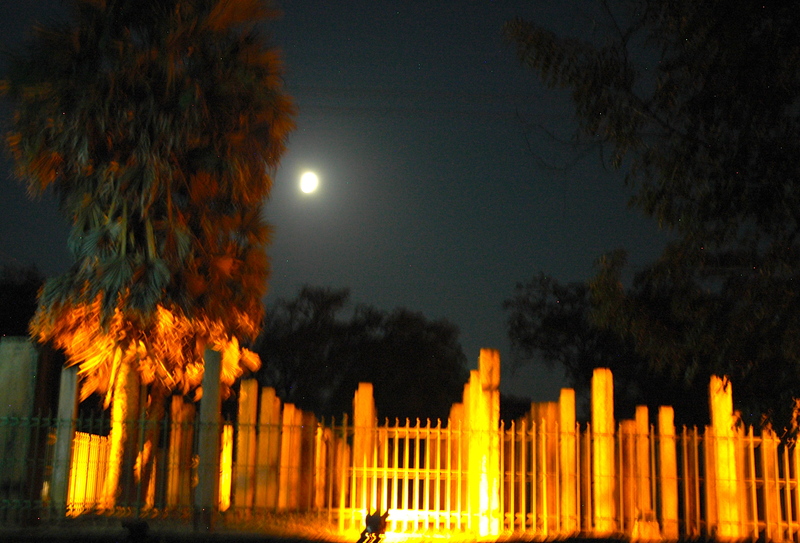 it had acquired all the trimmings of a proper city – suburbs, cemetery, place of execution, monastery, hospital and houses of worship and sacrifice. It was then declared the nation’s capital and remained so for another 1500 years! 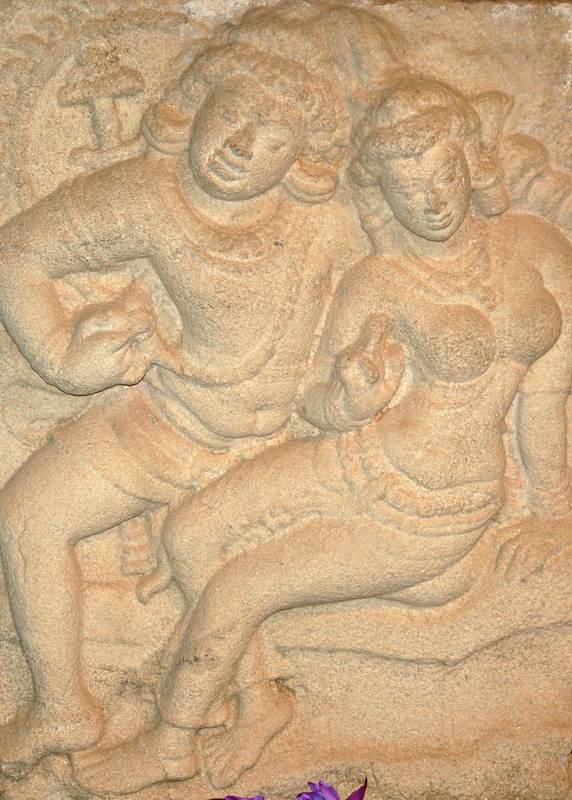 The arrival of Buddhism between 250 and 210 BC, brought about an era of intense construction and expansion. Soon the city complex with surrounding monasteries grew to cover an area over 40 square kilometres. 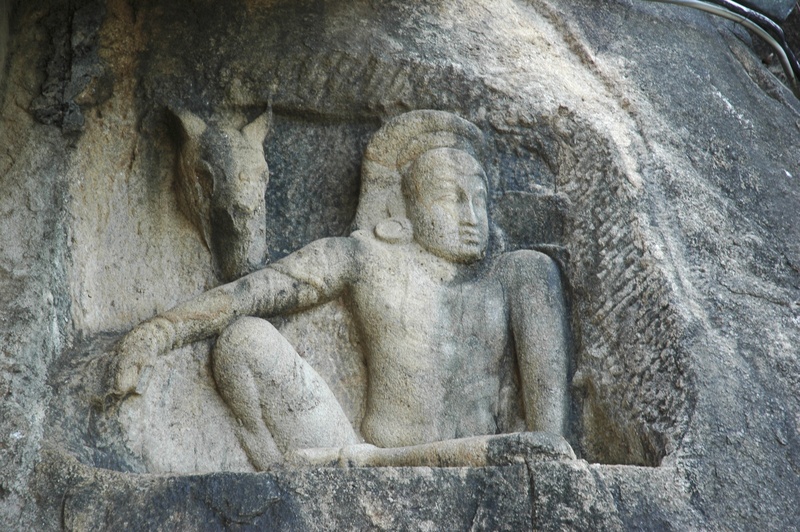 Today, Anuradhapura, a Unesco World Heritage Site, is littered with well preserved ancient monuments. It would take many days to see them all. I managed three in one afternoon. 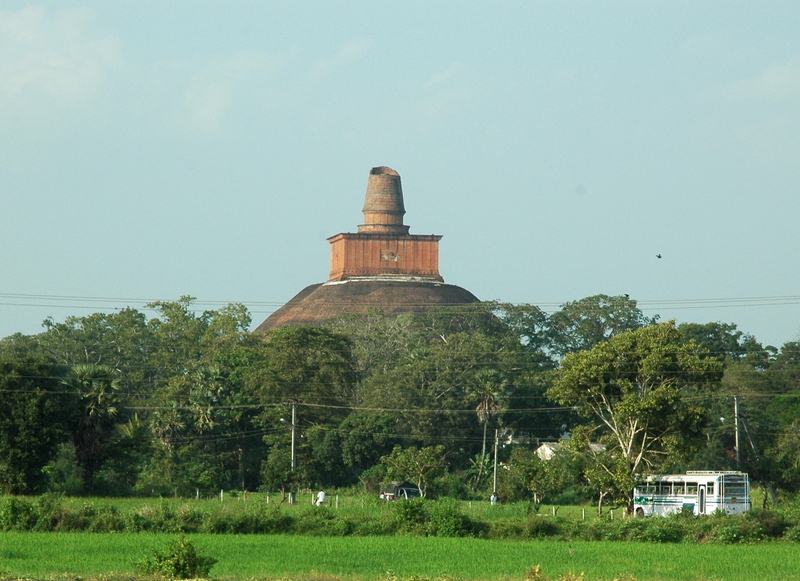 I drove past this majestic 3rd century AD Stupa on my way to Isurumuniya. At a height of 400 ft, it was the third tallest structure in the ancient world after the Pyramids of Giza. Baked bricks used in its construction were bonded with lime, sand and clay. 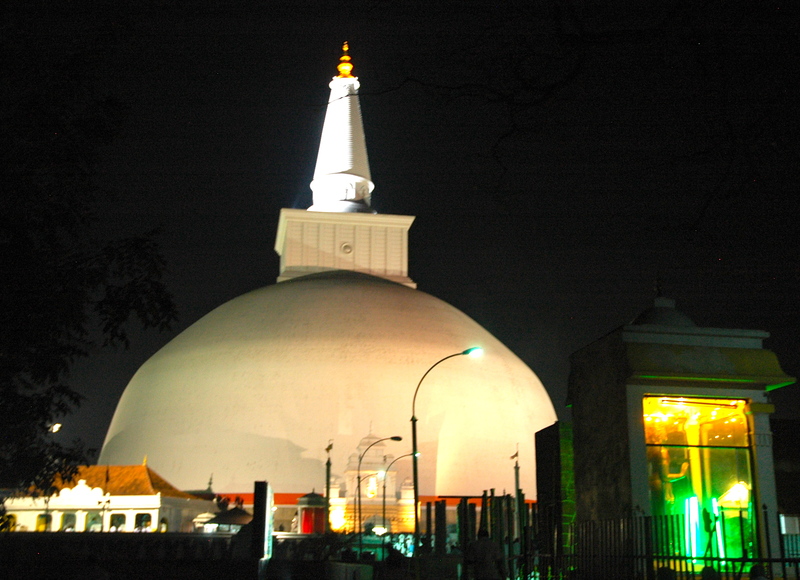 The stupa was covered with lime plaster containing seashells, sugar syrup, egg whites, coconut water, glues, oils, plant resin, sand, clay and pebbles which provided waterproofing for the structure. 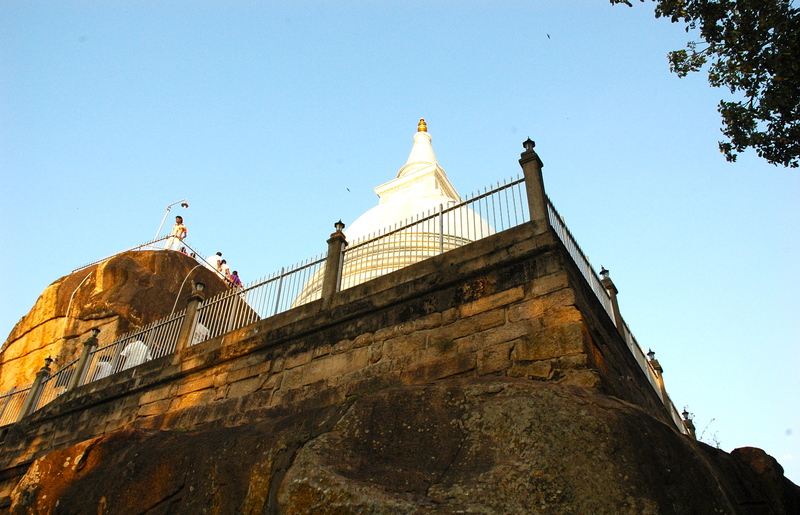 Copper sheets were placed over the foundation and arsenic dissolved in sesame oil was used to prevent insect and plant intrusions inside the stupa. 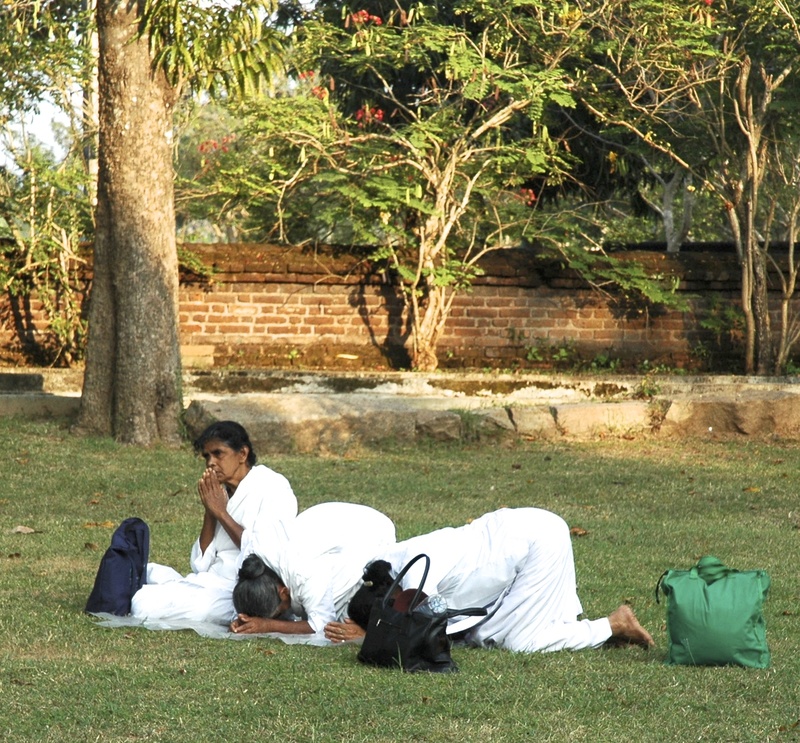 This is my favourite place in Anuradhapura despite somebody nicking my shoes the last time I was there. 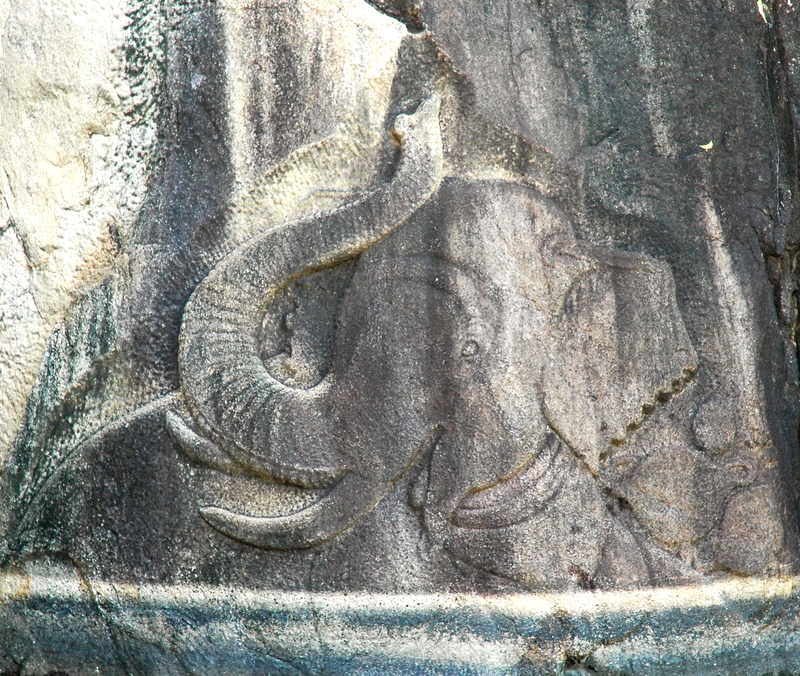 It is pretty, tranquil and with carvings of playful elephants, man and horse and the ‘Lovers’ on the rock next to a pool with green water, has an air of mystery and romance unlike any other temple. It is ideally located at the edge of giant reservoir and right next to the Royal Pleasure Gardens where an ancient prince fell in love with a low-cast beauty and gave up the throne for her. It was already dark when I reached the sacred Bo Tree. A long paved path from the small car park leads to what in effect is the oldest planted tree in the world. 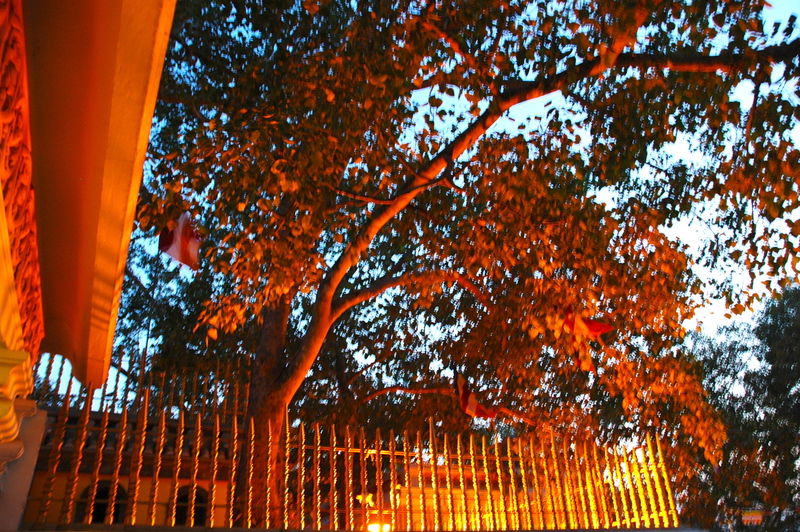 It was grown in 288 BC from a cutting of the right branch of the Bo tree in Bodh Gaya in India under which Buddha attained enlightenment. 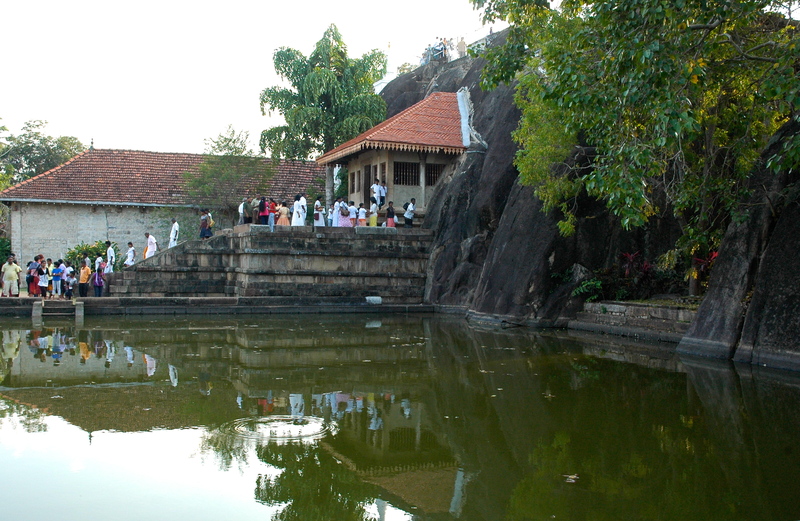 It is the second most sacred place for Buddhists in Sri Lanka. 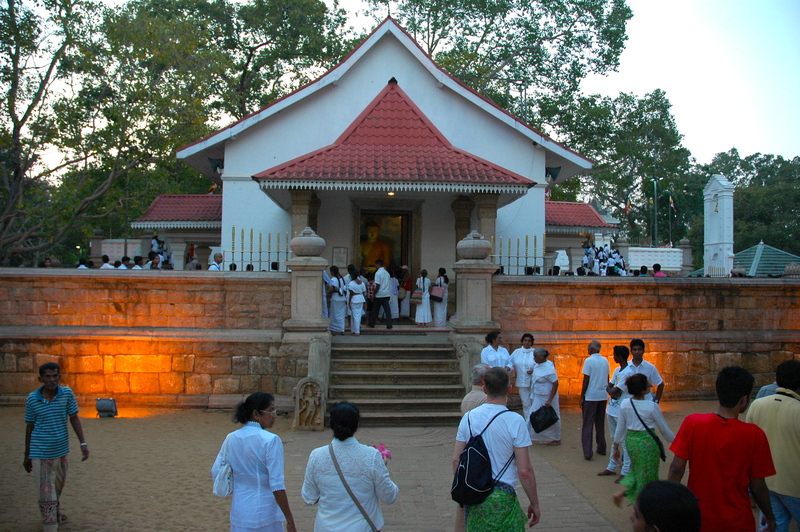 Being Poya Full Moon Day, the terraces surrounding the Bo tree were packed with the pious, offering flowers, chanting, worshipping and meditating. 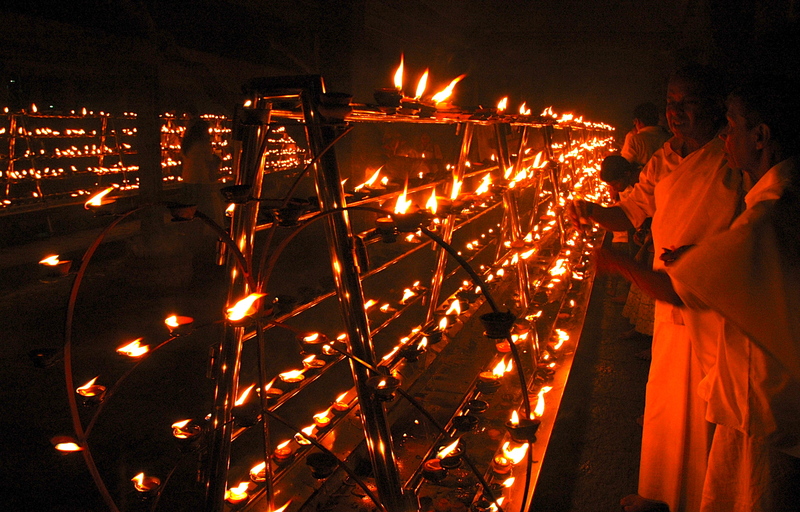 The air was heavy with the heady scent of burning incense. 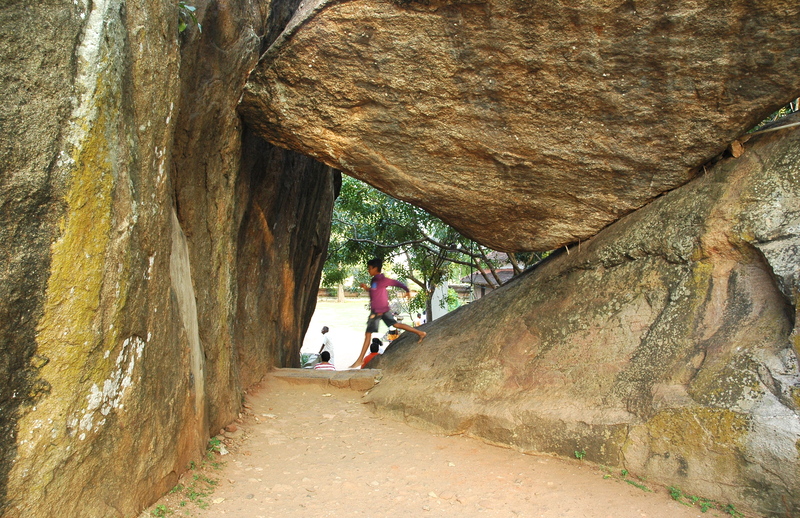 It is a long walk past King Dutugemunu’s Brazen Palace (161-137 BC) to the shinning and beautiful Ruwanwelisaya. The nine-story palace with 1000 rooms and a roof of copper tiles was built to house monks. All that remains today are 1600 stone pillars. It was late when I got back to Lakeside hotel at the edge of Nuwaraweva Tank where I was spending the night.e again The hotel promised a lot but delivered little. Dinner was mostly recycled lunch. I ate only fruit and went to bed hoping that the tour leader will not be late again next morning.